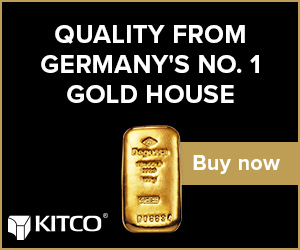 LONDON, April 12 (Reuters) - The euro rose sharply on Friday in a move dealers said may have been driven by anticipated currency demand arising from a Japanese bank&apos;s plans to purchase a German multi-billion dollar aviation finance business. The common currency jumped late in Friday&apos;s Asia session and then extended gains in the European session to a 2-1/2-week high. Markets are often quiet in the hours before European trade opens and thin liquidity has in recent months caused sudden jolts or "flash crashes" in major currencies including the Swiss franc. Those types of moves are less common in the heavily-traded euro-dollar currency pair which has a daily turnover of over $1 trillion. Dealers said speculators were buying the euro in response to reports on Mitsubishi UFJ Financial Group&apos;s planned purchase of the aviation financing business of Germany&apos;s DZ Bank. As of June last year, the portfolio of that business stood at 5.6 billion euros. The transaction was announced on March 1 and MUFG said the it was expected to close after June. The euro rose 0.6 percent to $1.1318 , its highest since March 26. The common currency also advanced about 0.8 percent to 126.69 yen , its strongest since March 20. "We think the euro is about to become &apos;interesting&apos; again. As is often the case, range-trading can mask an underlying build-up of pressures that get released eventually," said Vassili Serebriakov, a currency strategist at Credit Agricole in New York. "We acknowledge the ECB&apos;s dovishness but are inclined to see growth (in Europe and globally) as the more forward-looking, and bullish, driver of the euro," he said. Pressured by the stronger euro, the dollar index against a basket of six major currencies was down 0.4 percent at 96.828, giving up most of the previous day&apos;s gains. With the dollar broadly lower, the pound rose 0.2 percent to $1.3078 to cancel out most of the previous day&apos;s losses. Volatility for sterling plunged after a midweek deal at an emergency European Union summit to postpone Britain&apos;s exit from the bloc to Oct. 31. The deal meant Britain would not crash out this week without an agreement.